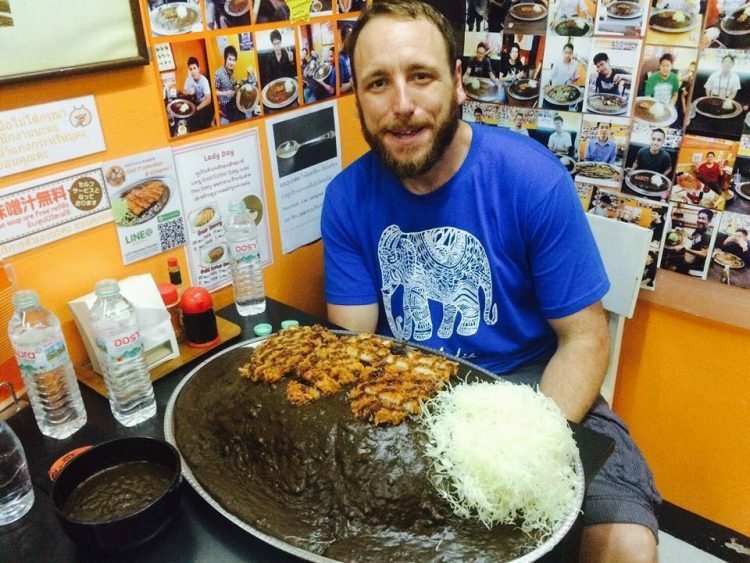 If you’re really short on cash and haven’t eaten anything in about a week, you may want to head over to Gold Curry, a restaurant in Japan’s Ishikawa prefecture, where you can earn up to $900 if you can finish one of their giant dishes in the allotted time. We’ve featured some outrageous restaurant challenges in the past, like eating a bowl of the world’s hottest curry, feasting on a 4-pound taco, or finishing a giant bowl of Pho soup, but, while definitely extreme, completing them still seemed possible. That’s not the case with the ultimate challenge set by Japanese restaurant Gold Curry. They are offering a grand prize of $900 to any person that can eat over 20 pounds of rice and curry in just one hour, which I for one don’t think is humanly possible without rupturing your stomach. If you love ramen and want to get paid for eating lots of it, I suggest visiting the Umakara Ramen Hyouri restaurant, in Tokyo, Japan. They will pay a cool 50,000 yen ($438) to anyone who finishes their giant bowl of delicious ramen in under 20 minutes, Easy money, right? Well, they don’t call these things eating challenges for nothing, so it’s definitely not a walk in the park. 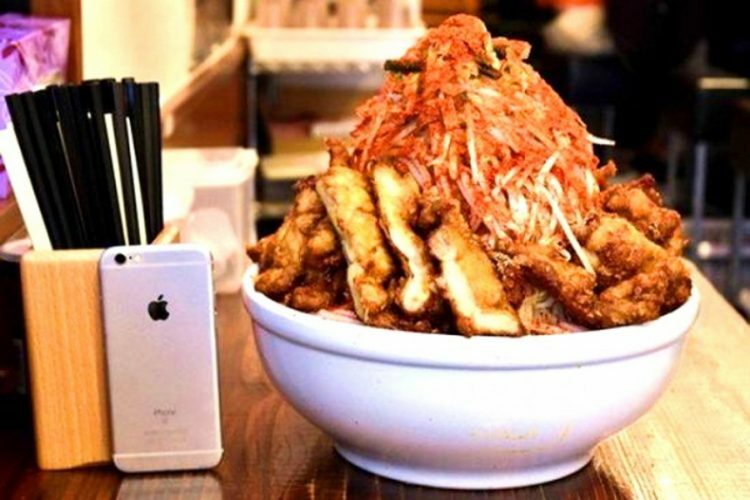 In fact, in the three years since the Japanese restaurant introduced the challenge, only nine people have managed to finish the gargantuan dish in the allotted time. Legend has it that they didn’t eat for a week afterwards and never spoke the word “ramen” again. Nine is not that many, but at least it’s doable right? And here’s an extra incentive: if you think that 20 minutes is just not long enough to gobble this delicious monster, Umakara Ramen Hyouri is also willing to pay $236 to whoever manages to eat it all in 30 minutes. 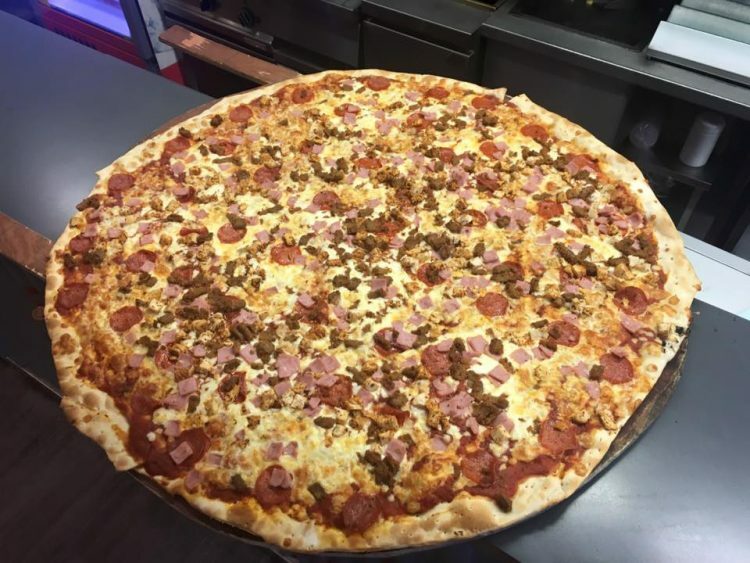 Chacho’s Taco, a Tex-Mex eatery in Corpus Christi, Texas, has been challenging people to finish a spectacular 4-pound All-Mighty Taco in under 10 minutes ever since its inception, 18 years ago. During that time, only 5 really hungry people have managed to do it. 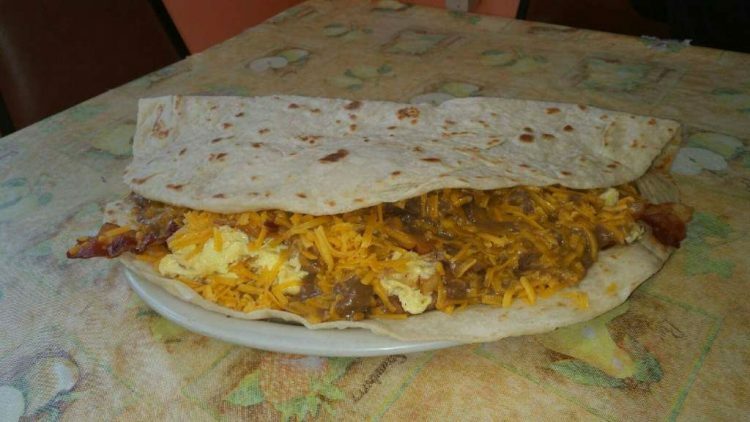 The next-to-impossible eating challenge posed by Chacho’s Taco recently went viral on social media, after Norma Jean Toro, a Corpus Christi local, posted a photo of her struggling to eat the 4-pound behemoth made with a giant homemade tortilla and lots of beans, cheese, carne guisada, egg, potatoes and bacon. She failed to finish the taco, but won the admiration of the internet instead. Her post has been doing the round on social media around South Texas after receiving thousands of shares on Facebook. Living up to its name, the Atomic Fallout burger is so hot that owners of the Atomic Burger restaurant, in Bristol, England, require daredevils to sign a waiver and wear protective gloves so not to burn their hands. Eating a burger is usually a pleasurable experience, but chowing down on the Atomic Fallout burger is a painful challenge. According to restaurant owner Martin Bunce, the sauce in the mouth-burning fast food treat contains “a variety of chillies including the Ghost Chilli and the Scotch Bonnet. But what gives the sauce a real kick is the Ghost Chilli extract which registers at 4.2 million Scoville units.” Considering Tabasco sauce is ranked at just 5000 units on the Scoville scale, you can understand why some people are referring to the Atomic Fallout as the hottest burger in the world. Apart from the stomach melting Ghost Chilli extract, chefs at the Atomic Burger, in Bristol, also use a variety of other chillies, including the tiny but ultra-hot Scotch Bonnet. Can You Handle the Red Dog Saloon’s Ultimate Hot Chicken Wing Challenge? If you’re a fan of spicy food, you may want to try the Red Dog Saloon’s Viper Challenge – eat six chicken wings smothered in sauce made from Naga Viper chillies, known as the world’s hottest chili peppers, in ten minutes. Sounds easy enough, doesn’t it? I mean how hard can it be to munch on six wings in 10 minutes, right? I can go through a whole bucket of spicy wings in half that time. But these are six little piece of Hell that will make you feel like you’re feasting on molten lava. The Red Dog Saloon, in Londons’ Hoxton district, introduced its Viper Hot Chicken Wings Challenge in December 2011, and since then it’s really been separating the men from the boys. The requirements are pretty straightforward: in order to beat the challenge, a person has to eat six hot wings in ten minutes, and last an extra five minutes after taking the final bite without leaving the table or putting any other liquids or solids in their mouth. It’s that Burn Time that really affects daredevils crazy enough to take on the Viper Challenge. Just to give you an idea of how hot a Naga Viper chili is, Tabasco sauce ranks about 5,000 units on the Scoville Scale, whereas the tiny pepper is ranked at 1,359,000 units. That’s 2,500 times hotter than a Jalapeno. Drew Manning has been in great shape all his life, playing sports growing up and being passionate about fitness, so after some people told him he didn’t know what it’s like being fat and craving sugary foods, he realized they were right and decided to experience those things first hand. So the personal trainer came up with a year-long program where he would get fat in the first six months and try to lose weight and get back in shape in the other six. He decided to track his progress on his website fit2fat2fit.com, where he posts photos, videos and updates on his weight and state of mind throughout the whole period. His journey into the world of fast food and soda began on May 7, with an introductory video where he explains why he’s doing this crazy experiment and enjoys his first fatty food – a dozen donuts. At least he tried eating all 12 of them, but after seven, he was ready to throw up.